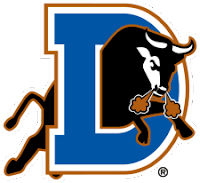 The Game: The Durham Bulls were shut-out 4-0 by Buffalo Bisons on Thursday at Coca Cola Field. The Bulls offense was unable to get a read off Buffalo’s knuckleball pitching RA Dickey, only recording one hit in the contest which came off the bat of Fernando Perez to lead off the game. Buffalo broke the scoreless tie in the fourth inning. Jesus Feliciano singled to second to lead off the inning. Feliciano later scored in a ground out by Mike Hessman to take a 1-0 lead. The Bisons added two more runs in the seventh inning. Mike Jacobs singled to center followed by a double for Mike Hessman. Chris Carter struck an RBI single to score Jacobs. Hessman then scored on a ground out to increase the lead 3-0. Buffalo picked up their final run of the game in the eighth inning on a solo home run by Ruben Tejada to earn a 4-0 win. Heath Phillips pitched a complete game, allowing 4 runs on 8 hits with 3 strikeouts. Bulls Player of the Game: Heath Phillip; threw a complete game. A Look Ahead: The Bulls (15-7) will conclude the series against Buffalo (12-9) on Friday. Aneury Rodriguez (2-0, 0.00) will be making the start against Pat Misch (1-0, 3.09).